When Shar tries on a ring from Hades, it activates an obscure contractual clause that puts Shar and former-frenemy-now-friend Meg in Hades' service once more. Shar is whisked away to the Underworld to prepare a ball for Persephone, while Meg is sent to retrieve the errant soul of spoiled rich girl Paulina Swanson and send her to the abyss. Just when it appears the girls will be doomed to serve Hades for eternity, Shar meets two possibly helpful demi-gods who also happen to be gorgeous. Can the girls finally ditch the Lord of the Dead once and for all? Check out my review of Sirenz! This sequel has only solidified by love for this series... and Hades! Sophomore slump? Nope! Not for the Zaman and Bennardo duo! Sirenz Back in Fashion is just as awesome, and just has hilarious as the original. Plus, there's more Hades. Hades is always a good thing. Okay, that aside, I really loved this sequel. The moment I started reading it I knew that I would like it just as much as the first. The same great writing and witty banter that endears us to the characters and gods in Sirenz are definitely still there. Except now we have some new myths thrown in, but I don't want to tell you which ones because that would majorly spoil the book. If you're really into Greek mythology, you'll probably be able to figure out the myths pretty early on in the story, but I thought it was really interesting how they threw those in there! Anyone that wants a funny as hell book. You don't even have to be into Greek mythology to love it, because everything is so modernized anyway. Plus, if you're a fan of Hades, or you think you'll be a fan (which you probably will) then just pick up the first one, Sirenz, and BECOME HIS FAITHFUL MINION. "With you, there's chaos and infidelity and guilt and lust. THere's no love. I want that. And that's the one thing you can't give me." The music ended abruptly. Hades, his eyes smoldering with some emotion, gently lifted by hand and kissed it chastely. "I could give love. If someone ever wanted it from me." Nat: When not playing with pointed objects, Natalie Zaman is usually writing. She lives in central New Jersey with her family and several fine looking chickens. Char: Lover of sparkly things, Char doesn't have as many shoes as she'd like, but wouldn't have time to wear them anyway with her three boys, husband, cat with issues, demented squirrels and insistent characters all demanding her time. She is represented by Natalie Lakosil of the Bradford Literary Agency and is hoping to get all her characters into print just so they'll be quiet. 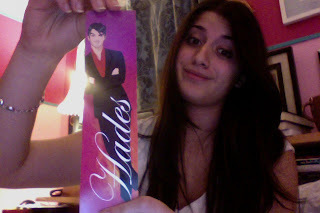 I have 2 really awesome Sirenz bookmarks to giveaway! 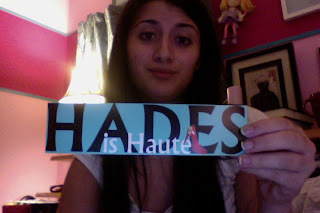 They both have to do with the obvious star of the books... HADES! If you'd like to win 1 of these 2 bookmarks, enter below! I didn't realize there was going to be a sequel to Sirenz-I remember seeing that around but not picking it up despite my love for Greek mythology. I guess I need to get on it so that I can also read this awesome sequel! 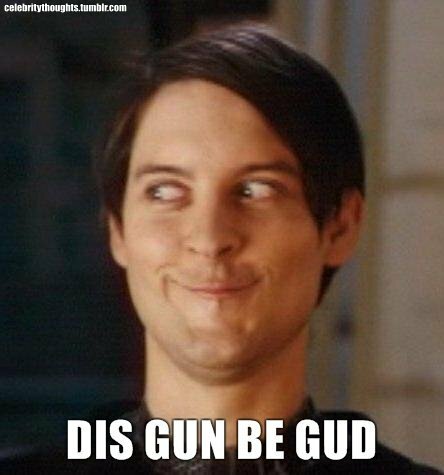 @Char, LOL! Sorry about that. That's what I meant, in my head I was thinking "Shar" but it came out Char. Fixed it! Reader's Choice! Tell me what you want! Review Survey! Please fill out!